Distance from the Liberty Stadium: 278 miles ~ 4 hours 50 minutes. Swans fans are in the upper tier of the Cobbold Stand on the side of the pitch. Although the views from the stand are not too bad, leg room is a very cramped and like the rest of the stand the facilities are dated. Alcohol is available in the ground only before kick-off. East Anglia really is a lovely part of the world, and if you’re travelling this far to watch the Swans, you may as well make a weekend of it – especially as it’s the Easter Bank Holiday weekend. The region is based around the ancient kingdom of East Anglia – covering the counties of Bedfordshire, Cambridgeshire, Essex, Hertfordshire, Norfolk and Suffolk. The area has preserved much of its unspoilt character, rural landscape, architecture and traditions. You’re also spoilt for choice for places to stay – both in terms of variety and price. 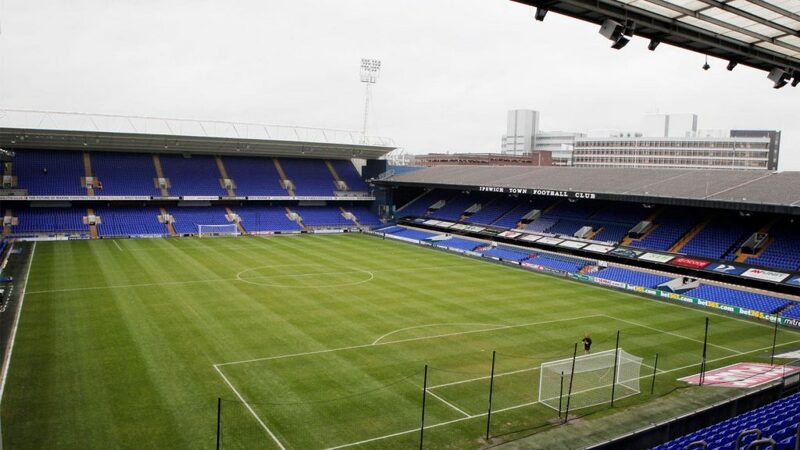 Nearby hotels to Portman Road include; Station Hotel (IP2 8AJ) 0.4 miles away, Novotel Ipswich Centre Hotel (IP1 1UP), Carlton Hotel (IP1 3LT) and Pentahotel (IP2 0AD) are all just around half a mile away, with the easyHotel (P1 3BX) just 0.9 miles away. There are self catering and holiday cottages set in some great scenery outside the town. The Norfolk Broads may take your fancy on a boating holiday. There’s Easter Speggtacular at Baylham House Rare Breeds Farm (IP6 8LG) and has activities throughout the weekend between 10am-5pm. Cost of entry: £7.50, concessions: £6.50, children (4-16): £3.50, Under 4’s entry is free, family (2 adults and 2 kids) £19, (2 adults and 3 kids) £22. Any child wearing an Easter-themed costume on Easter Sunday will receive free entry. The day of the game, there’s a river cruise on the Orwell Lady (Orwell Quay, Wet Dock IP3 0FS) leaving at 10.30am and getting back at 1pm. Travelling downriver, view The Cathouse, vital to past smugglers and learn the true origins of naval ‘Grog’, and reach Pin Mill, home to Arthur Ransome and local sailing barges before returning to Orwell Quay. Prices are £22, children pay £16, concessions are £19 with under 3’s travelling free, family ticket is £60. Snacks, hot, cold and alcoholic drinks can be bought on board and booking in advance is advised. The day after the game is St George’s Day. There’s a walking dragon hunt (90 minutes) Walks start from Ipswich Tourist Information Centre (IP1 1DP) at 2pm, cost is £9 and includes tea and cake at the end. The main away supporters pub is the Station Hotel (IP2 8AJ) and is near the railway station, which is only 0.3 miles away from the ground. The Punch & Judy (IP1 1UZ) is a family oriented pub some half a mile away. The town centre has plenty of pubs, amongst them are the Lord Nelson (IP4 1JZ), 0.9 miles away and has a beer garden and snug bar for groups of 12-20; the snug needs to be booked in advance. The Dove Street Inn (IP4 2LH), 1.2 miles away has up to 20 real ales and ciders on tap. The waterfront area has been re-developed and has a number of bars and restaurants. This can be seen from the train station and is a 10 minute walk from the ground. Isaac’s on the Quay (IP4 1AS) is 0.9 miles away and a local favourite and serves many real ales. There is very little free street parking near the ground but along Portman Road there are three Pay & Display car parks (£4 for 4 hours). Surprisingly it doesn’t take ages to get away after the game. You can also choose from a selection of private car parking spaces near Portman Road, including around 49 parking spaces which you can reserve for your visit from just £5.00 for the day. There are a number of other car parks in the town centre and an NCP multi-storey next to the train station (£2.70). Nearby on West End Road (IP1 2DZ) is a large open pay & display car park, which costs £4 for 4 hours. The ground is a quarter of a mile away from the station, on a footbridge over the river. You’ll see the ground as you come into the station. Ipswich is served by trains from London Liverpool Street and Peterborough. Trains leave Swansea at 05:27, 06:27 and 07:27 for the 6.5 hour journey. Trains back are at 17:09, 17:52, 18:52 and 19:52 getting in at 22:59, 00:01, 01:08 and 02:17; bus and tube journeys are involved in these trips.